Discover essential oil uses! Essential oils are potent chemicals. It’s important to understand what they are and how to use them. EO's should be respected and treated with care. For example, Tea Tree oil is also called Melaleuca oil. It is light or pale yellow in color, (shown right). It has a strong fragrance similar to nutmeg. It is antiseptic, anti-fungal, antibacterial, anti-viral and anti-inflammatory. - Keep it away from children and pets. - Some people experience allergic contact dermatitis as a reaction. - TEA TREE OIL IS TOXIC WHEN INGESTED. It can cause drowsiness, confusion, weakness, vomiting, stomach upset, diarrhea, hallucinations and coma. Never take TT oil orally. Essential oils are concentrated oils of a plant. They carry a distinctive fragrance or "essence" from the object from which they were extracted; plant, leaves, flower or peel. 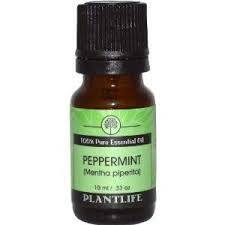 Examples of EO's include: lavender, peppermint, chamomile, melaleuca, sage, citrus, rose, patchouli and many more. CAUTION! EO's are potent chemicals! They contain bioactive ingredients. Their natural chemicals interact with biological systems. Use with care! Never use large amounts externally, or internally. Never use straight. Always dilute in carrier oil, soap, lotion or other buffering agent. Never use without knowing what their bioactive compounds are known to do. Research the safety of EO's before use. Know what fragrances blend well together. Use high quality essential oils. Popular EO's include: orange, lemon, peppermint, spearmint, patchouli, lavender, rosemary and tea tree. EO's have been used for treatments throughout history. Within recent decades, their popularity has revived with alternative medicine, aromatherapy. Aromatherapy proposes that healing effects are due to aromatic compounds in EO's and other plant extracts. Studies claim aromatherapy has an uplifting effect on the mind, body and spirit. Many EO's contain antiseptic properties, able to destroy bacteria or prevent its growth. They're used in a wide variety of topical applications. CAUTION! When using EO's around fabric or as an air freshener, do a spot check. Make sure it doesn’t stain. Add 2 drops Tea Tree oil to washing machine. Mix 2 tsp. of Tea Tree oil with 2 cups of water in spray bottle. Mix 3 drops Tea Tree oil to 1 cup of water in spray bottle. Mix 8 - 10 drops of Lavender EO with 1/2 cup distilled white vinegar. Soak cotton ball with diluted Patchouli EO. Place out of way in closet. Mix 2 tsp. Peppermint EO to 1 cup water in spray bottle. CAUTION! Those with nut allergies should avoid nut based EO's. RECIPE # 1: Blend diluted Tea Tree oil and Kukui oil. Soak in cotton ball. Use 5% oil to 95% water, for an effective acne treatment. For sensitive skin, dilute oil in Aloe Vera gel. Dab on acne blemish. COMBAT BACK ACNE: Add 2 drops of Tea Tree oil to tub of water. RELIEVE SORE FEET: Mix 4 - 8 drops of peppermint or rosemary oil to warm water. Soak feet in tub or water spa. BODY MASSAGE: Dilute EO's in carrier oils: vegetable, sunflower or walnut. Add soothing EO's to relieve sore muscles/joints. Make homemade bath salts, with MSM. Find bath salt recipe! Make homemade soap. Find homemade liquid soap recipe! SOAP RECIPE # 1: A homemade soap with 5-fold Orange oil, Tea Tree oil and Lavender oil combats acne. SOAP RECIPE # 2: A soap with invigorating Peppermint oil and coffee grounds combats the "itchies". SOAP RECIPE # 3: A soap with citrus scents would be refreshing. SOAP RECIPE: # 4: A citronella soap is a natural insect repellent. Find a Citronella homemade soap recipe! MORE SOAP MAKING TIPS: Learn all about making homemade soap with science lessons! Find fun activities for kids and adults! FIND ESSENTIAL OILS at AMAZON!